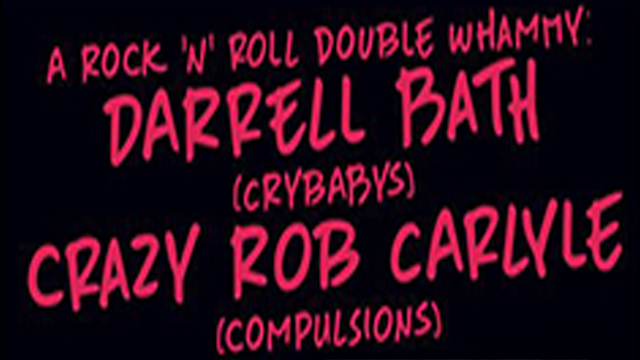 Crybabys and Compulsions front men reunite for Return Of The Rock & Roll Double Whammy. Get ready to "Shake Hands With The Devil" the go "Dancin' With The Devil's Goombah" Support from Rich Ragany & The Digressions. Presented by Runnin' Blue Promotions. Get ready to "Shake Hands With The Devil" and then go "Dancin' With The Devil's Goombah." Support from Rich Ragany & The Digressions.